Join us to paint this beautiful abstract American flag at Limoncello's Ristorante in Chester Springs to celebrate and honor those who have served us for Patriot's Day (September 11th). 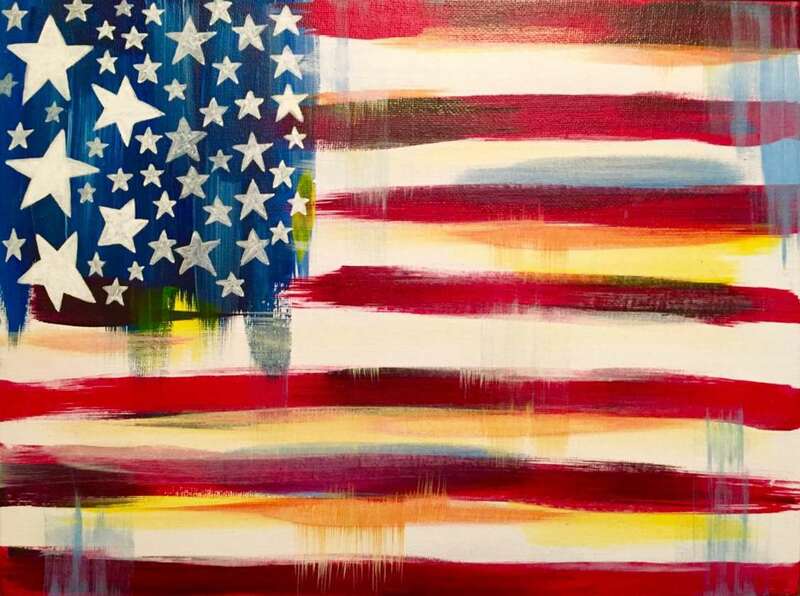 Join us on Tuesday, September 11th, from 6-8PM to celebrate and honor Patriot's Day by painting this beautiful 'Abstract American' flag painting. - Sign up on our website (link below) prior to the event. - Then, join us at Limoncello's Ristorante in Chester Springs, PA from 6-8PM! - Painters may order food & beverages whilst painting. Or feel free to grab dinner before hand, and bring your drinks over with you to the painting area! This is a fun carefree painting of the American flag. The abstract feel of the painting takes the pressure off of creating perfectly aligned stars and stripes--so that, as our country's founders wished, we can focus on creating a "more perfect union" by exploring our creativity and innovation, building relationships and enjoying our daily lives. Come early and relax at Limoncello Chester Springs. Our local artist, John, will guide you step by step through our featured painting. With a twist of a brushstroke, you can transform your canvas into your very own masterpiece! Uncork your wine and have a great paint night with Pinot's Palette Exton! The more the merrier, INVITE YOUR FRIENDS to paint with us!